The post has been shared by	462 people. 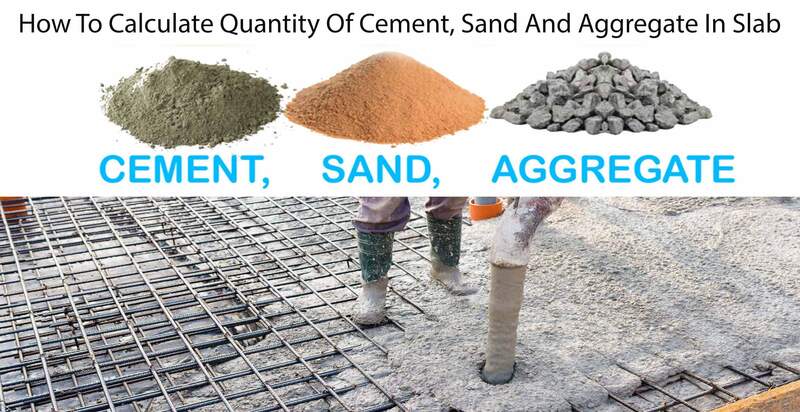 Let suppose we have a two way slab having a length of 20 feet and same as width of 20 feet and use M-15 grade of concrete, Calculate the quantity of cement ,sand and aggregate that are used in a slab and thickness of the slab is 6 inches? First, we calculate the volume of the slab and then this volume are converted into a wet condition to dry condition and then find out the how much material is required for the slab. convert this volume into cement bags. you know that 1.25 cuf in one cement bag.